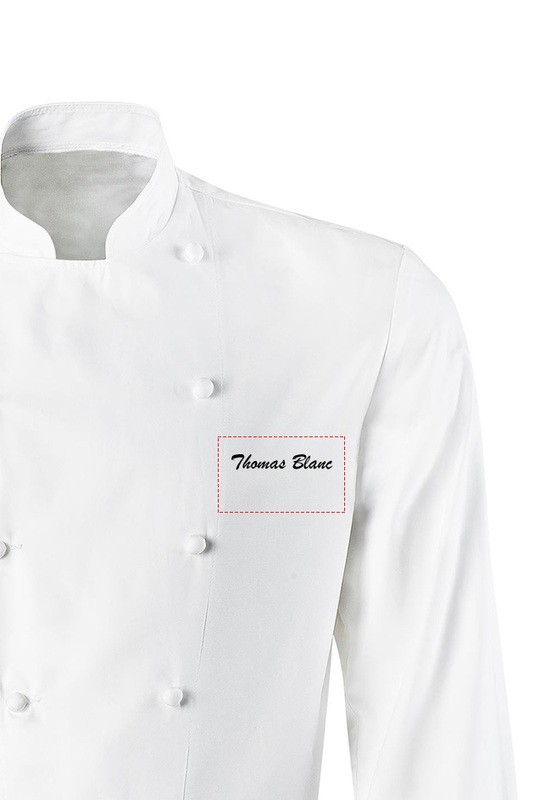 Men's chef or service jacket-shirt. Handmade fabric-covered buttons. Musketeer cuffs fastened with matching cuff links. Rounded hem. Back length 74 cm. Stripes in matching white tones.